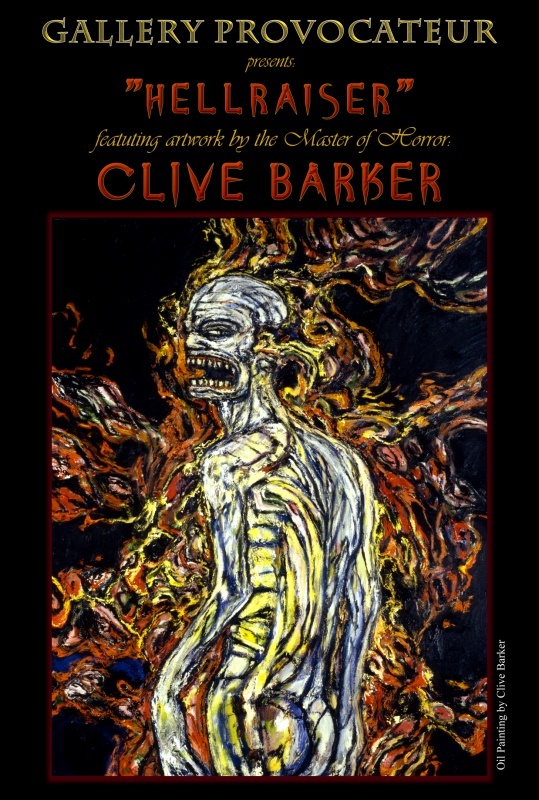 Sinister Visions Head Honcho Chad Savage will have two new paintings showing at Gallery Provocateur's 2009 Annual Halloween Exhibition in Chicago, headlined by none other than Clive Barker. The Halloween (Dark Arts) Annual Exhibition by Gallery Provocateur is part of Chicago Artists Month 2009, the fourteenth annual celebration of Chicago's vibrant visual art community. In October, more than 200 exhibitions of emerging and established artists, openings, demonstrations, tours, open studios and neighborhood art walks take place at galleries, cultural centers and arts buildings throughout the city. Chicago Artists Month is organized by the Chicago Department of Cultural Affairs and is made possible through support provided by Bank of America. For more information, visit www.chicagoartistsmonth.org. You can see Chad Savage's entries into this exhibition at http://www.chadsavage.com - the first two entries under "Halloween Art" - Harvest King & HalloQween.